The KeyMission Accessory Pack features all of the accessories you need to get your Mission started. Designed for use with the KeyMission 360 or KeyMission 170 cameras. 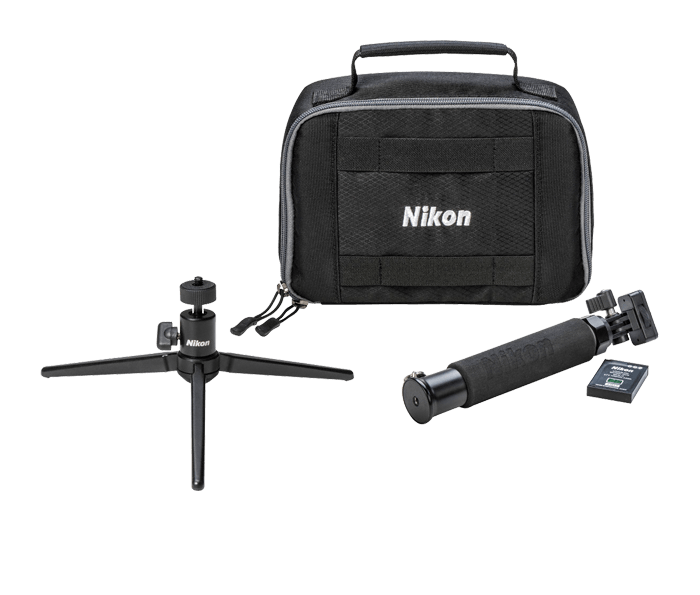 The Pack includes the KeyMission system case to hold your camera and accessories, an extra EN-EL12 Lithium-ion battery, KeyMission Tripod and KeyMission Extension Arm.